Back pain? Shoulder pain? Knee pain? Neck ache? = If you have any of these im pretty sure I can help stabalise and balance to relieve pain and ultimately fix you - Dont take my word for it read my reviews!! On my programmes you will cover the following Health & Fitness Goals! Lose weight, Tone up, increase anaerobic & aerobic energy thresholds, Increase flexibility and range of joint movement, Posture & Strength you will feel stronger and taller, Endurance & Stamina, balance & speed, nutrition & general wellbeing, confidence & your motivational drive to do ones best will increase dramatically and along with your belief in your ability! I am here to transform you in to a better you and I do this everyday with many! - Detoxing, Healthy Lifestyle changes and lots of motivational personal training! £10000 = Friends and family will be amazed by your full body transformation or money back guarantee offered!! - Designed for wedding brides Dannys - Weight Loss Training & Detox 1 month Weight Loss Juice and Soup Detox Combined with a Tailored Weight Loss 1 to 1 Personal Training Programme. - 1 month intensive FAT BURNING 12 SESSIONS 1 to 1 Training and Nutrition advice for Rapid Weight Loss. Group price is as above but an additional £20 per person per session. Get in Contact and BOOK Danny BELOW NOW!! 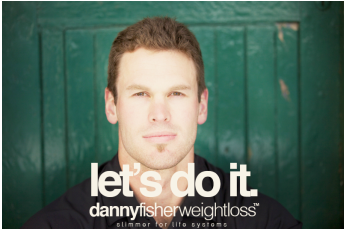 You get 1 Life - Feeling fit, strong and looking at your best with Dannys Fitness- Want results Contact Danny now!